Go to original pattern for design DROPS 80-14. DROPS 5 mm [US 8] straight and short circular needles, and 6 mm [US 10] straight needles, or sizes needed to obtain correct gauge. Row 1: * K 3, P 5 *, repeat from * - *. Row 2: * P 3, K 5 *, repeat from * - *. Color A: 2 cm, color B: 6 cm, color A: 6 cm, color B: 6 cm, color C: 6 cm, color D: 8.5 cm, color C: 6 cm, color B: 6 cm and color A: to finished measurements. Color A: 2 cm, color B: 6 cm, color C: 6 cm, color D: 8.5 cm, color C: 6 cm, color B: 6 cm and color A: to finished measurements. = 64-70-76-85-92 sts. When the piece measures 12 cm inc 1 st at each side every 10-10-10-15-15 cm a total of 3-3-3-2-2 times = 70-76-82-89-96 sts. When the piece measures 38-39-40-41-42 cm bind off for armhole at each side every other row: 3 sts 1-1-1-2-2 times, 2 sts 0-1-2-2-3 times and 1 st 2-2-3-3-4 times = 60-62-62-63-64 sts. When the piece measures 50-52-54-56-58 cm bind off the center 12-14-14-15-16 sts for the neck. Then bind off at each neck edge every other row: 2 sts 1 time and 1 st 3 times = 19 sts remain on each shoulder. Bind off when the piece measures 58-60-62-64-66 cm. Back: Cast on and knit the same as the front. Bind off for armhole as on front. When the piece measures 56-58-60-62-64 cm bind off the center 20-22-22-23-24 sts for the neck. On the next row dec 1 st at each neck edge = 19 sts remain on each shoulder. Bind off all sts when the piece measures 58-60-62-64-66 cm. Sleeve: Cast on 42-42-42-50-50 sts on smaller needles with 1 strand charcoal grey Karisma Superwash + 1 strand Vivaldi. Knit rib for 6 cm, keeping 1 edge st at each side in garter st. Change to larger needles and reverse stockinette st, following Stripe pattern-sleeve - see instructions above. When the piece measures 10 cm inc 1 st at each side every 6-4.5-3.5-4-3.5 cm a total of 7-9-10-9-10 times = 56-60-62-68-70 sts. When sleeve measures 49-48-47-46-44 cm bind off for sleeve cap at each side every other row: 4 sts 1 time, 3 sts 1 time, 2 sts 2 times and 1 st 1-1-2-2-5 times, then bind off 2 sts at each side until the piece measures 55-55-56-56-56 cm, then bind off 3 sts at each side 1 time. Bind off the remaining sts, the piece measures approx. 56-56-57-57-57 cm. Collar: Pick up approx. 64-80 sts (divisible by 8) around the neck on smaller short circular needles with 1 strand charcoal grey Karisma Superwash + 1 strand Vivaldi; join and place a marker at the join. P 1 right side row, then K 1 row, then knit rib – place a K 3 at center front. When the collar measures 12 cm bind off all sts in rib. Sew in the sleeves. 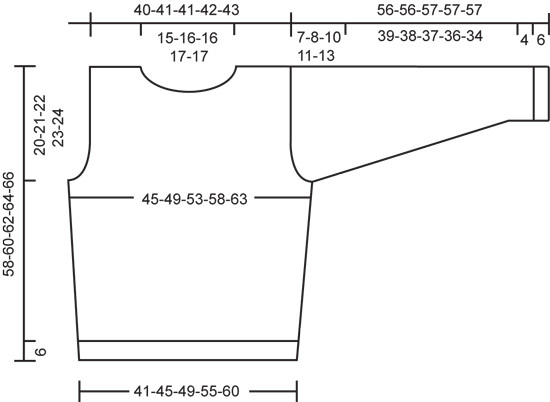 Sew sleeve and side seams using edge sts as a seam allowance. 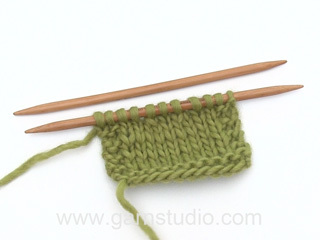 Hat: DROPS 8 mm [US 11] double-pointed needles, or size needed to obtain correct gauge. Scarf: DROPS 10 mm [US 15] needles, or size needed to obtain correct gauge. Scarf: 9 sts in garter st = 10 cm in width. Earflap: Cast on 3 sts and knit garter st back and forth on needles – after 2 rows inc 1 st at each side inside of 1 edge st – inc by making a yo, on the next row twist and knit the yo so there will not be a hole. Repeat inc every 3rd row 5 times = 15 sts. When the piece measures 8-9 cm put sts on a st holder. 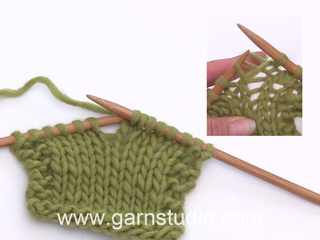 Knit a second earflap – end on the same row so that earflaps will be identical. Hat: Knit one earflap onto needles, cast on 10-12 new sts on needles (= back) and knit the other earflap onto same needle = 40-42 sts. Knit garter st back and forth on needles, and inc 1 st at each side every other row 2 times = 44-46 sts. Then loosely cast on 11-14 new sts (= front) = 55-60 sts. 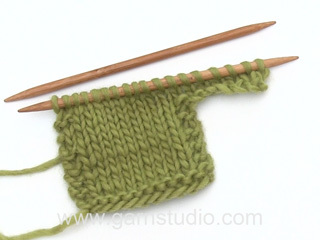 Change to double pointed needles, cut yarn and start at center back – measure the work from here. Continue with garter st in the round. When the piece measures 4 cm knit stockinette st to finished measurements. When the piece measures 10-13 cm put 5-6 markers in work with 11-10 sts between each marker. Then dec 1 st on right side of each marker by K 2 tog every other row until 5-6 sts remain. Knit 2 rows, cut yarn and pull through the remaining sts, fasten neatly. Hat measures approx. 24-25 cm at center front. Fasten 1 braid at lower edge of each earflap.1 braid = cut 9 strands of yarn 70 cm long. Fold strands in half and pull loop through center of earflap, over the first 2 garter st rows at lower edge, then pull ends through loop. Divide strands into 3 bundles with 6 strands each and braid together loosely, make a knot at bottom of braid. Cast on loosely 20 sts and knit garter st. Bind off when scarf measures approx. 170 cm. 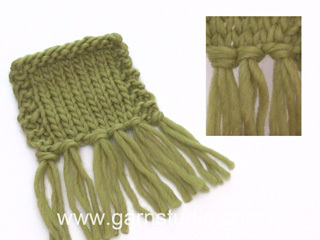 Braided fringe: Fasten 5 braided fringe tufts evenly distributed at each end of scarf. 1 fringe tuft: cut 3 strands of yarn 40 cm long. Fold in half and pull loop through over the first 2 garter st rows at one end of scarf, pull ends through loop. Divide yarn into 3 bundles of 2 strands each and braid together loosely, make a knot at bottom. Bonjour Mme Giroud, DROPS Ull-Flamé n'est effectivement plus disponible, elle appartenait au groupe E de nos fils à tricoter. Vous pouvez la remplacer par une autre laine du groupe E, ou 4 fils du groupe A. La sensibilité de chacun étant différente, demandez conseil à votre magasin DROPS. Bon tricot!